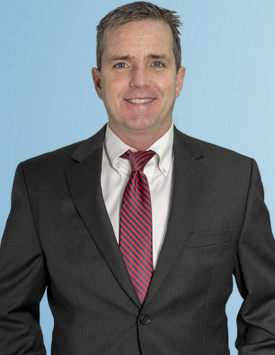 John Lynch is an Acquisition Specialist with nearly six years of government contracting experience. He helps his clients become and succeed as government contractors. He is an expert with the Advanced Federal Procurement Data Search, which includes in one place all of the data a contractor needs in order to locate and research solicitations and opportunities. John has also mastered the following online resources: USA Spending, BINCS, System for Award Management, Dynamic Small Business Search, SUBNet, and more. While talking to prospective contractors, John determines which federal set-aside and opportunities for which they may qualify, and then helps them better understand simplified acquisition contracts, sealed bidding, micro-purchases, and negotiated purchases. John’s clients have earned millions of dollars in federal contracts, including one contractor who received a contract within seven days of becoming registered in the System for Award Management. Interested in government contracting? John Lynch explains the five key steps you must take to succeed. USFCR has given me so much inspiration on how to go after a bid with the government, the continuous effort of reaching out, using resources to understand the newly contract adventure and an overall understanding on government bidding. I now have an opportunity to contract nation wide with the Federal Government. I can not began to tell you the team I am associated with is outstanding, courteous and down right just hold my hand as if I am a baby. I do not hesitate to call them if I have a question and they are right on point with the advice. I would recommend this company to any business professional whom wants to work with government contracting, it is worth every penny I have spent and then some. Thank you Elizabeth, Anna and John.. I greatly appreciate all of you! Elizabeth, Anna and John thank you so much for helping me on the journey of government contracting. You have really been helpful with the registration process, who I need to contact and how to win a bid. The registration process was so easy to understand and Elizabeth held my hand the entire way. Anna calls weekly to tell me about the live webinars and listens to all my questions with a beautiful smile behind the phone, well John let's just say he blew my socks off with the knowledge he has about the company. I love this company. Thank you!! John Lynch and Anna Boutin are complete professionals. I have always been very pleased with their professionalism and can-do attitude. They make it happen for my business on a daily basis. I would recommend John and Anna to my friends for sure. If you decide to call USFCR, ask for John and Anna. I signed on with John Lynch in 2017. John (and his team) successfully got my small business registered in SAM & HUBZone Certified before year end 2017. Based on his 2017 performance, I “doubled down” and bought additional USFCR services from John in early 2018, confident that I now have the guidance + support necessary to pursue Federal Contracts with success. It is with great pleasure that I inform you how satisfied Amzco Surgical Devices is with the services provided by USFCR. Beginning with Specialist John L., who is extremely knowledgeable about acquiring government contracts and how to apply their services to obtain government business. He certainly projects a clear understanding of what to do, we just followed his instructions. We also received excellent service from Kristen Salonia, as she guided us through the registration process; she answered all questions and conducted herself in a very friendly and professional manner. The assistance we received from Web Designer, Kamron N. was just superb! He designed our website to the level of expectation with great efficiency and professionalism. It was truly a great experience working with USFCR! John Lynch and company take care of all my needs. When I call in they take the time to listen to what I have to say and follow through with what they said they would do. One of the best choices I’ve made so far. US Federal Contractor Registration is always willing to help. John Lynch goes above and beyond to support me, and I am 100 percent satisfied with his service.